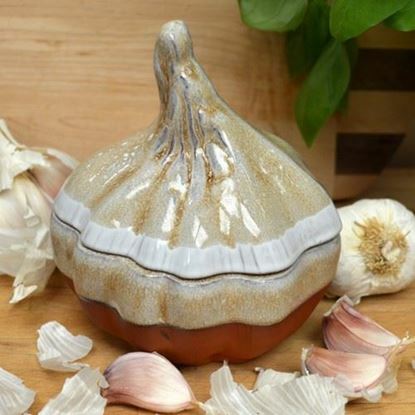 This terracotta garlic storage pot has been designed to provide perfect garlic storage conditions in your kitchen. 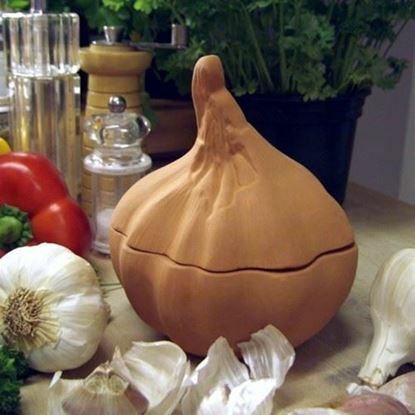 Shaped like a garlic bulb, the garlic pot will keep your garlic cool & fresh, preserving those gorgeous garlic flavours, and restricting light to reduce the likelihood of sprouting. 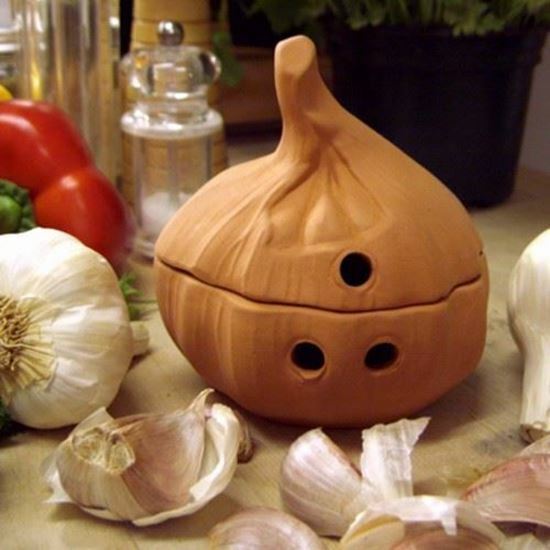 Garlic needs to breathe and allowing good air circulation will extend its shelf life. 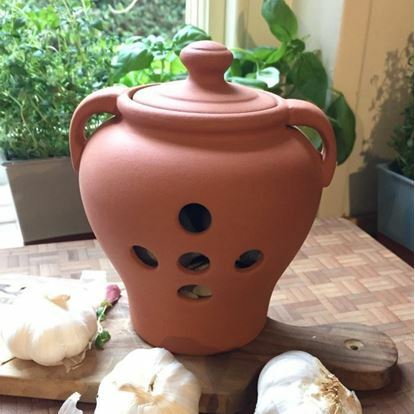 For this reason our garlic pot has holes to promote good ventilation. 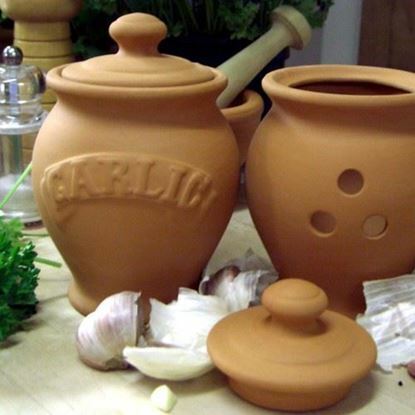 Hand made in the UK from English terracotta.